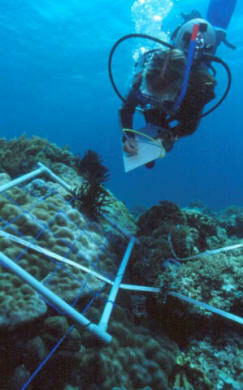 A fantastic opportunity to conduct coral reef research on Hoga Island to help its conservation. I'm trying to raise money to be able to go on a coral research field trip to Hoga Island, Indonesia. This will involve conducting around two weeks' worth of data collection, raising local awareness and presenting a project. My coursemates and I will be working alongside Operation Wallacea, a well known environmental research organisation, to help the drive towards coral reef conservation. I'm Alex, and I'm studying MSc Tropical Marine Biology at the University of Essex. While I have a BSc (Hons) degree in Environmental Conservation, and have spent two years working for the RSPB and Essex Wildlife Trust, it is marine biology and in particular corals and sharks that have always interested me most my whole life. This course and trip will enable me to pursue a career in this field, providing me with valuable skills and experience to help save the world! Recent predictions state that, at current rates of damage and environmental change, coral reefs could be lost to us by as early as 2060. More than one billion people worldwide depend on coral reefs as a resource in some capacity, and despite accounting for less than 0.1% of the ocean's, they provide a home for more than 25% of known marine species. This hopefully helps you to understand the importance of coral reefs, and why we must do our best to protect it. The work we do on Hoga will help to further understand reefs, their response to the effects of climate change, and what conservation methods we can utilise in the future. We will also be raising awareness in local communities as to how they can help to protect the reefs, through avoiding damaging fishing practices and reducing pollution and waste. By kindly helping to fund this project, you will be assisting coral reef research and conservation, and so hopefully we will collectively be able to protect these amazing habitats into the future. Here are some images of the location, some work we will be undertaking and a video of me trying to convince you to get involved with our project! This should hopefully give you a better feel for what this is all about. As an extra thank you for you kind help, I pledge to give regular updates on the progress of the trip and research. This may be difficult during the trip itself due to the remoteness of the location, but I will do my best to share photos or details of the project while I'm there on social media and on this project's website. Once I have returned, I will write a report of the trip and make any pieces of work I produced available to read, so you can see where the money has gone! Thank you for taking the time to read this, and if you are able to help out with this project then I truly appreciate it. This project, course and field of study is something I really believe in, and I hope that by reading this you have learnt something about the field, or at least realised my enthusiasm for it! Raising awareness is key for conservation. It would be fantastic if you could share this project with anyone you think might be able to support, even if you are not able to yourself. Thank you again for your time and help, and I hope to speak to you soon. Alex.